Jude isn’t a book of the Bible that makes my teaching schedule very often. Maybe it’s the esoteric references to the archangel Michael and his contention with the devil over Moses’ body (although I think my junior highers would love a message on that), or it could be the fact that in 25 short verses, the writer makes about a dozen references to OT salvation history! 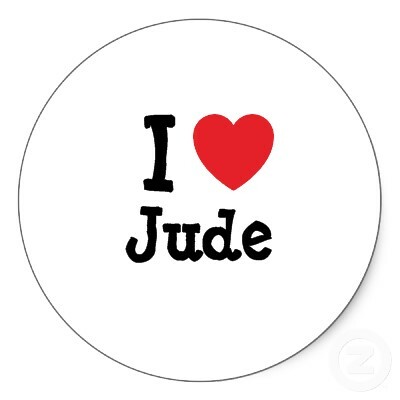 For one reason or another, Jude is often neglected, and I must say it’s to our loss. One of the words that repeats throughout the book is the word ‘keep’. Now you won’t see it translated that way every time, but it’s there in v. 1, 6, 13, 21, and a synonym in 24. The word is sometimes used in the sense of obeying something – like keeping a command. Other times it’s used in the sense of protecting, guarding (like a prisoner), or safeguarding something. Interestingly, in Jude it’s always used in the second sense. Here’s why the word is important. Jude begins his short letter by stating his original intention – to write about our common salvation – but he departs from this because of the things going on in his recipient’s lives. Bad teaching was resulting in rationalized sin, ungodliness, and perverse living. Jude gives several examples from the OT of similar events. Then in v. 20, the flavor changes. It shifts from the opponents to the recipients. The main command comes in v. 21 – keep yourselves in the love of God. The response that Jude’s audience was to take, their action, was to keep themselves in the love of God. And guess what kind of ‘keeping’? Yep, safeguarding, protecting. How were they to keep themselves? By building themselves up, praying, and waiting for the mercy of the Lord. At first, I found it puzzling that Jude devotes so much of his letter to describing the dangerous actions and consequences of these bad teachers, but so little verses on how we are to respond (v. 20-25). As I thought about the ideas in the letter, I began to see something so marvelous. As I said before, the entire letter is held together by the idea of keeping. Verse 1 tells us that we are kept for Jesus Christ. In v. 6 and 13, the evil spirits are kept in prison. Then, v. 21 tells us to keep ourselves in the love of God, and the entire letter ends with one of the most famous benedictions in the Church, v. 24 – now to him who is able to keep you from stumbling and to present you blameless before the presence of his glory with great joy… All through this keeping, God’s power and his righteousness loom huge in the background. He’s the one who kept us for Jesus. He’s the one who keeps the evil spirits imprisoned. It’s his love that we are to keep ourselves in (not his law and commands, mind you). His keeping is the cause of great praise and glory. Jude doesn’t have to devote a lot of attention to our response because God keeps his own! Here’s the point. So often I think of spiritual integrity as the thing I must maintain, that I must watch out for. Verse 21 can be so burdensome in that view. How am I supposed to keep myself in the love of God when enemies of God and bad teachers abound? And the answer is in the keeping. I keep myself in the love of God as I am kept for Jesus (v.1) by the one who is able to keep me from stumbling (v.24 – here Jude uses a stronger word to convey the image of God protecting us like a guard). Now there’s the power in spiritual integrity. God’s got to keep me. He’s got to sustain. He’s got to protect, and he’s got to purify. Let’s not forget who does the keeping, friends, and may it lead to a life of even more integrity. Jude, you may be in the white pages of the Bible, but we hear your message loud and clear, and we’re grateful.